Monday's are always a tricky day for packed lunch at work, after having the freedom of cooking up whatever I fancy at the weekend, I always find Monday's really restricting. Amy's Kitchen soup have been on offer in Tesco recently so I thought I would get some. I tend to get fresh M&S soup but obviously with these they keep for much longer as they are canned! Mrs Crimble's sent me some cheese straws, so I thought I would have a couple with my soup! A whole can of this soup is around 200 calories and other than vegetables there is only cream in the ingredient list, it is a clean food and all ingredients are organic too! The soup itself is very thick and chunky, it smells slightly of garlic, although I think it is the combination of onion and tomato with pepper. Whilst eating this soup, I thought that by adding pasta and a few veggies you could make a great minestrone, or even simmered down in a pan with pasta and roasted vegetables to make a fab pasta dish! I enjoyed that there was some texture, as when a soup is too smooth and is almost a drink in texture I find that they are not very filling! I couldn't believe how fresh this soup tasted for a tinned one, the pieces of tomato tasted like I cut and cooked a fresh one that day. 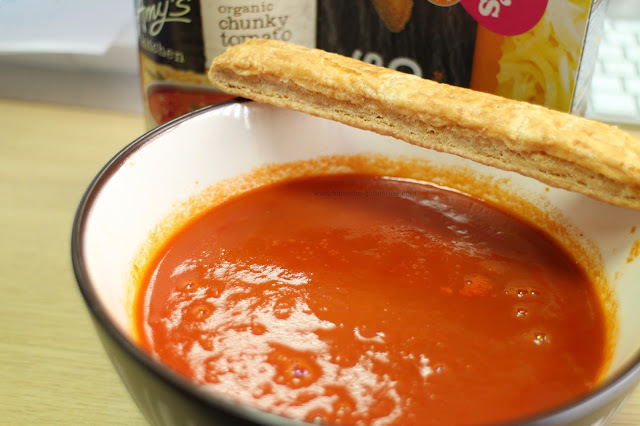 It truly tasted like a homemade soup, I am not sure if its the quality of the ingredients or if it is because it is organic, but either way it is a beautifully flavoured soup! 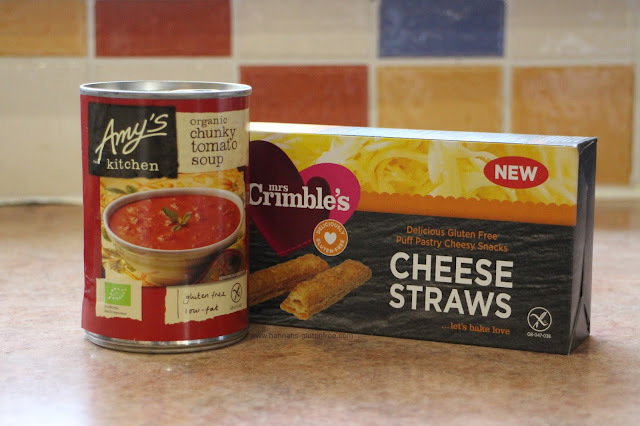 I also have an Amy's Kitchen vegetable variety in the cupboard, so I am really looking forward to trying this one too! I would love to know if there are any other flavours I should try, let me know!